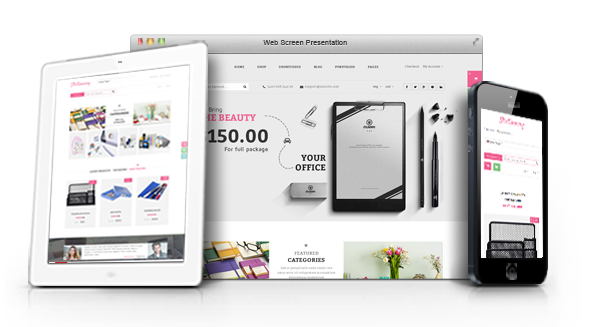 Stationery is a Multi-purpose Responsive WordPress theme with clean, beautiful and bright design. 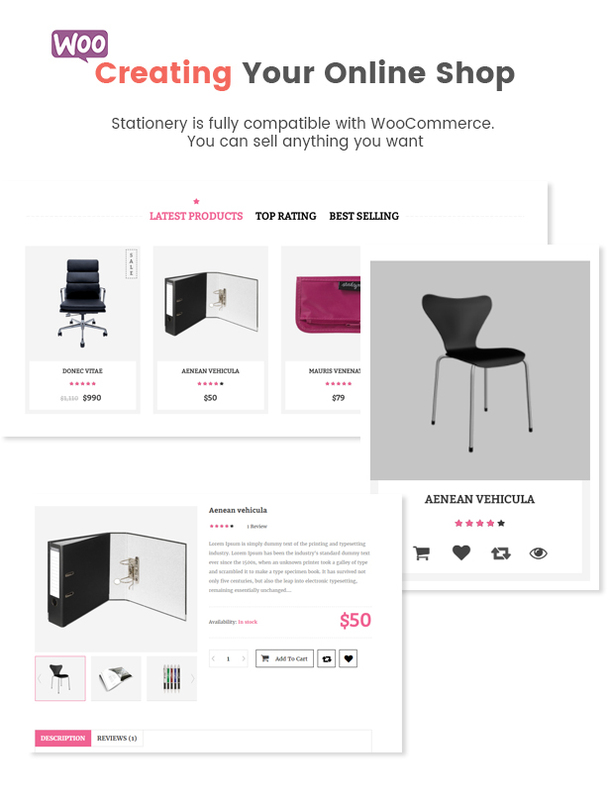 It is a great option for any office supplies stores with everything such a business needs: 3 beautiful homepage layouts, Boxed layout, beautiful slideshow with Slider Revolution, WooCommerce integration, powerful Mega Menu, Product Quickview and Comparison, RTL language supported and much more. 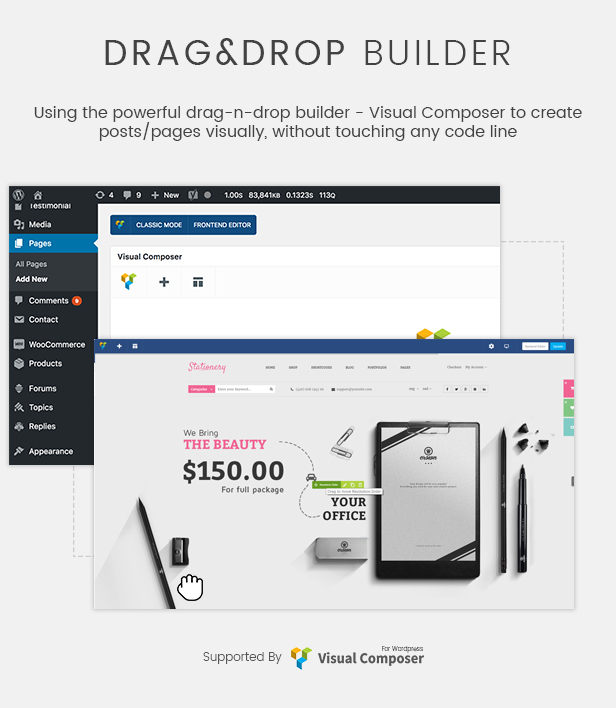 Specially, awesome WordPress theme is built with Visual Composer that will help you easily to customize your site. 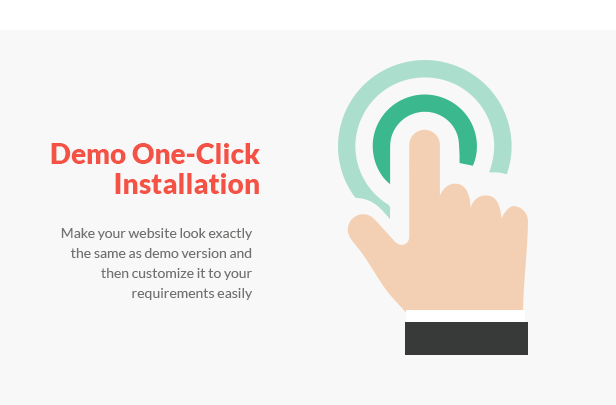 Besides, the Demo One-Click Installation will help you quickly build a full website like the Demo just only in one click. 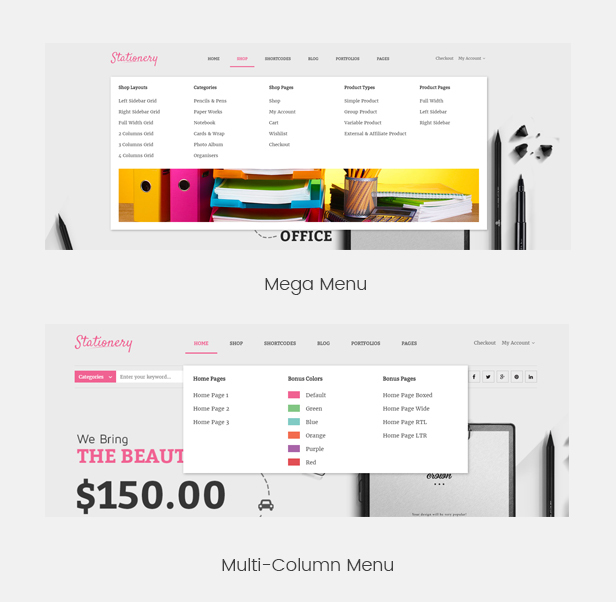 SW Stationery is fully responsive layout, it will make your site have amazing look on different screen resolutions such as: mobile, iPhone, iPad and other tablets. 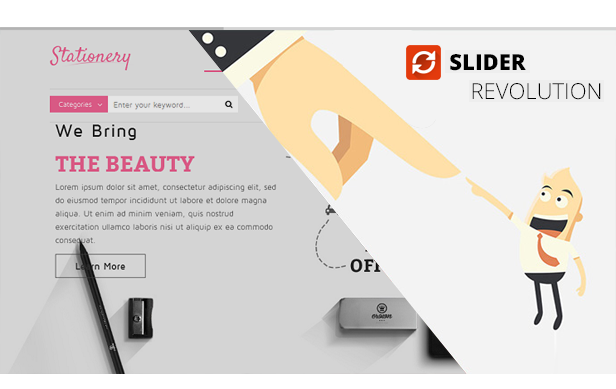 You can easy to create columns to display categories and products with description, price, image, video, effects... or even add links to any page, widgets with promotion banners and plugins. Installation couldn't be simplier with Demo One-Click installation integrated. The theme brings a clean and minimal ecommerce solution that allows you easily transform your WordPress website into an eCommerce store. 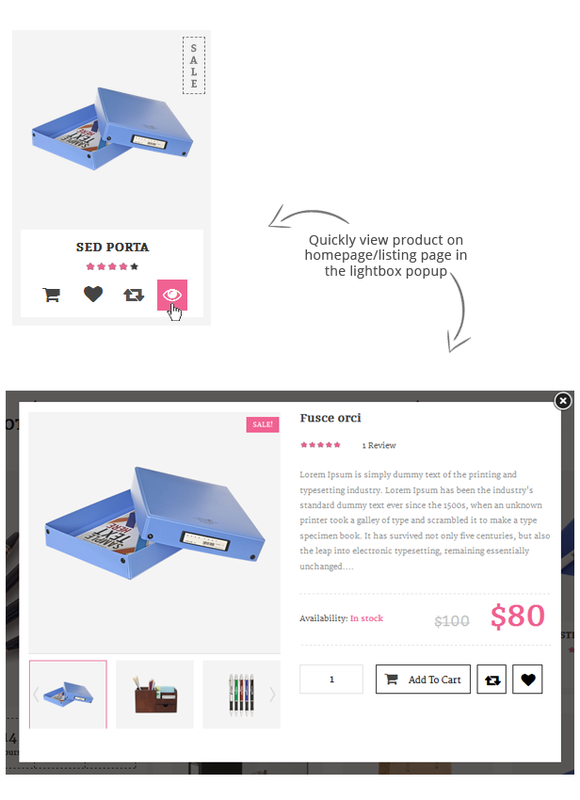 It's so convenient for customers to view quickly detail product on the Homepage, Listing page without leaving the current page.